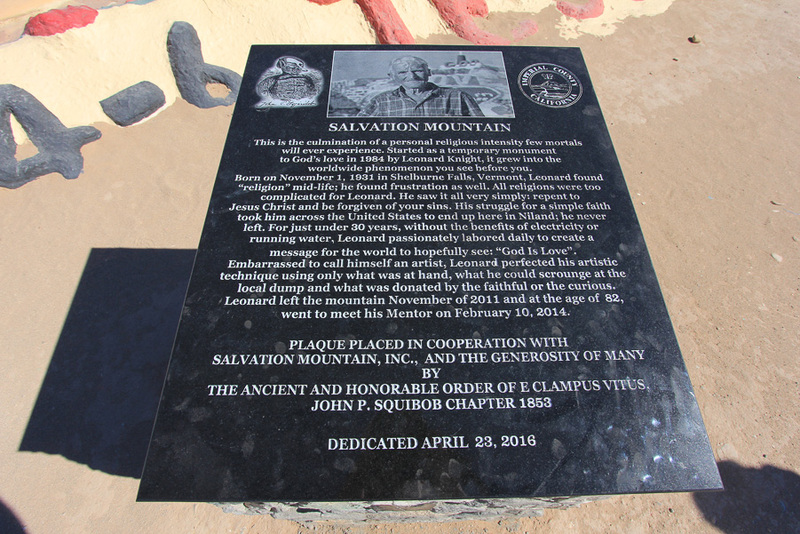 November 2, 2016 - We were a little apprehensive about today's adventure because it brought us to an area that is rarely visited in Southern California. 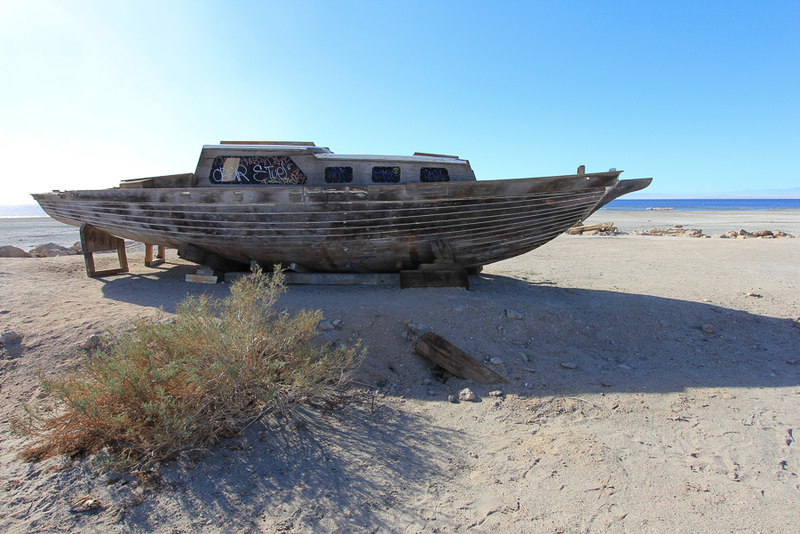 We were headed to the eastern shore of the Salton Sea. 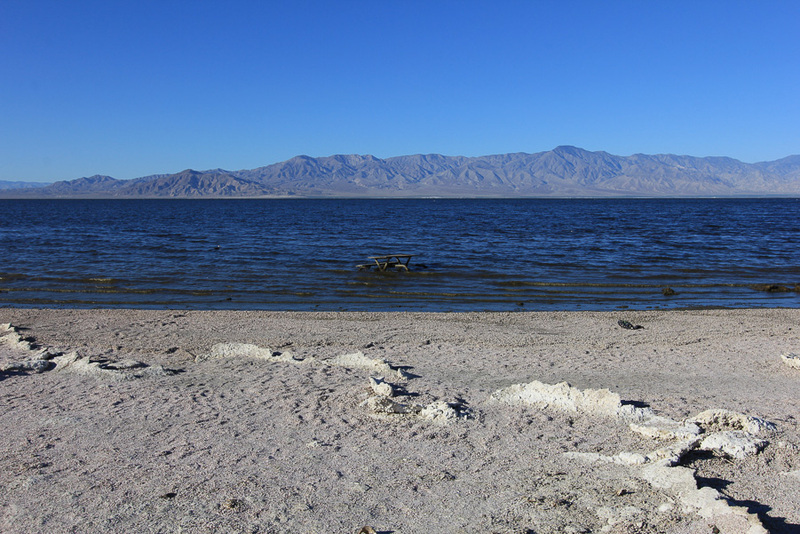 The Salton Sea is a shallow, saline rift lake located directly on the San Andreas Fault, predominantly in California's Imperial and Coachella Valleys. 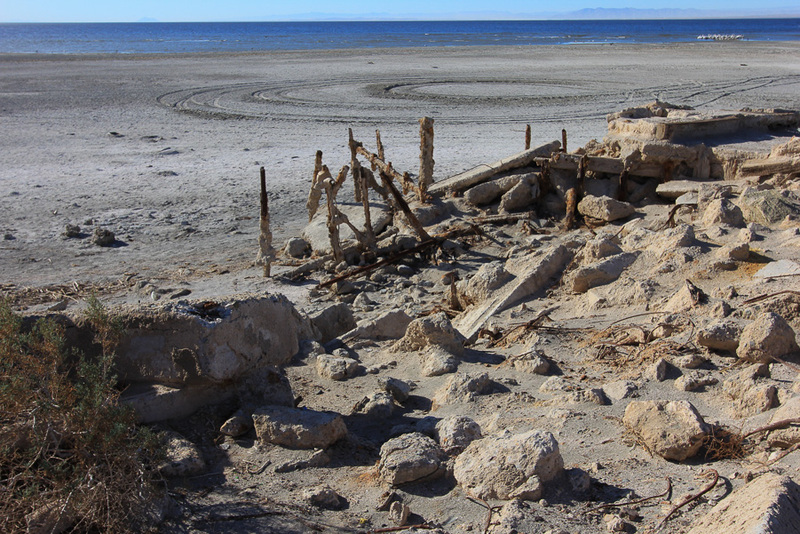 The Salton Sea had some prior success as a resort area in the 1950's but, many of those settlements substantially shrank in size, or have been abandoned, mostly due to the increasing salinity and pollution of the lake over the years from agricultural runoff and other sources. 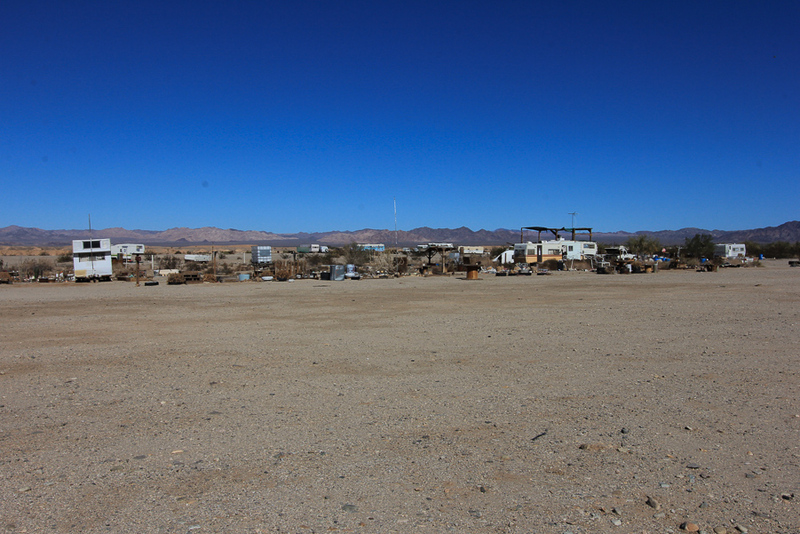 Now the area is mostly described as apocalyptic. 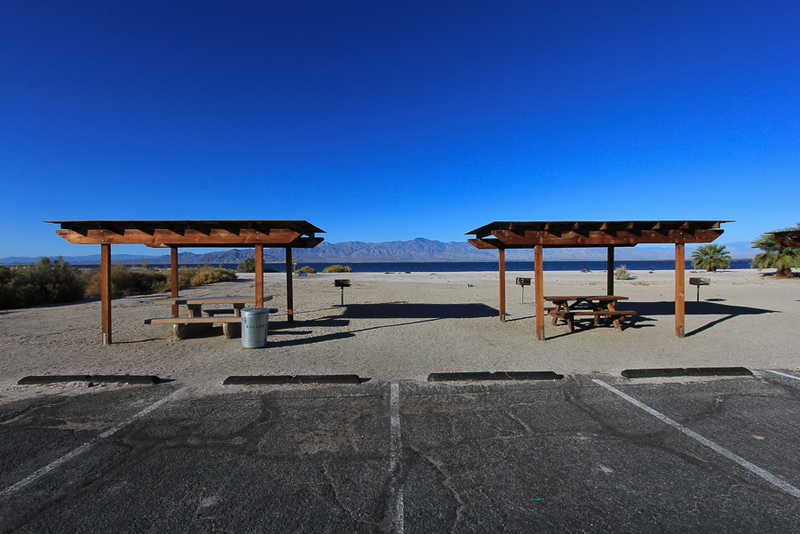 Our first stop was at the Salton Sea Recreational Area, which is a California State Park. 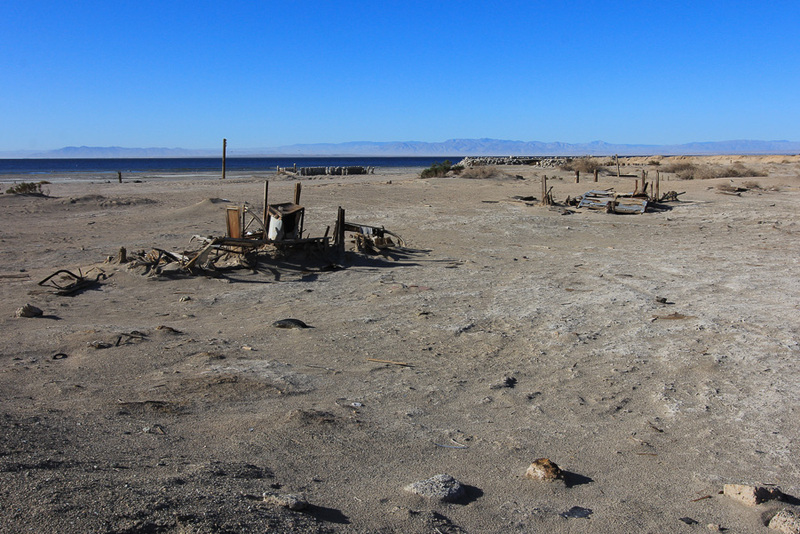 There are a lot of dead fish here, but at least the smell wasn't as bad as we thought it would be. 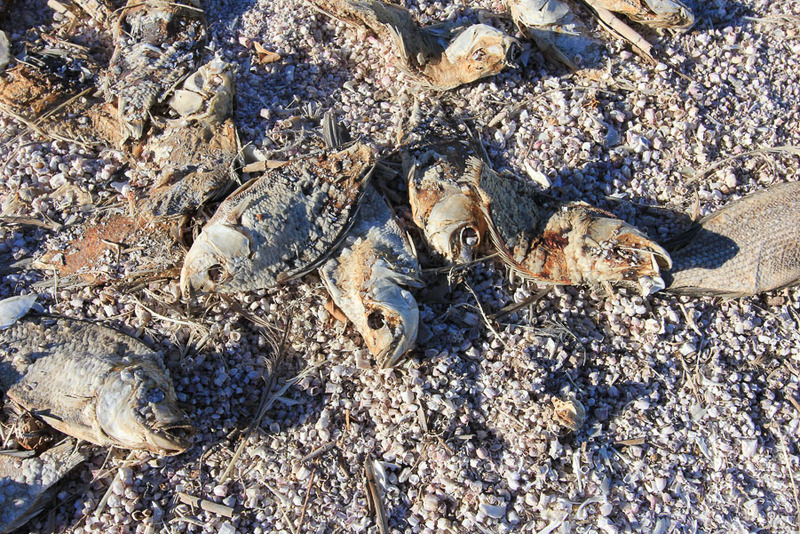 The entire beach that appears to be white sand is actually shattered fish bones. 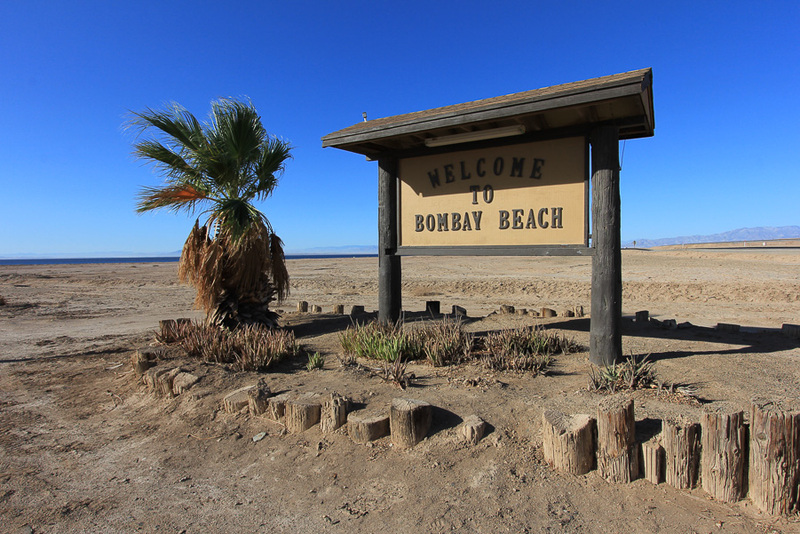 Our next stop was Bombay Beach, which is the lowest community in America, located 223 feet below sea level. 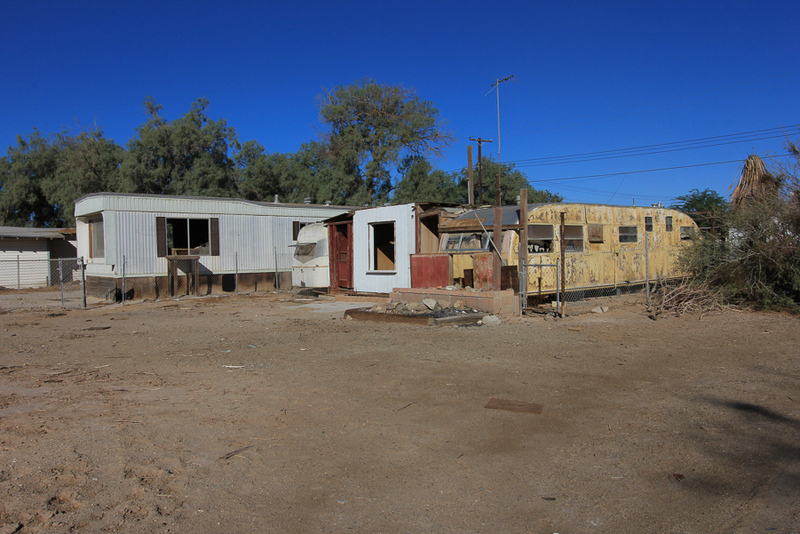 The population was 295 at the 2010 census, down from 366 in 2000. 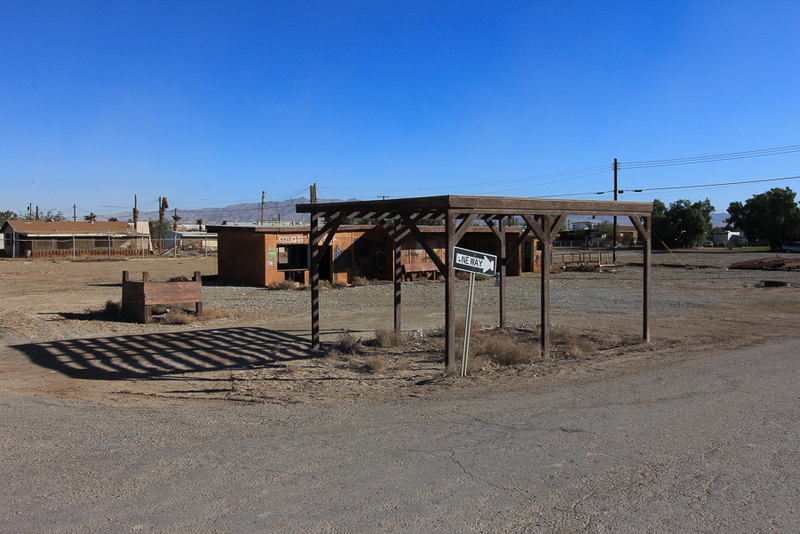 Half the town was wiped out due to flooding and what remains is somewhat occupied, but mostly abandoned. 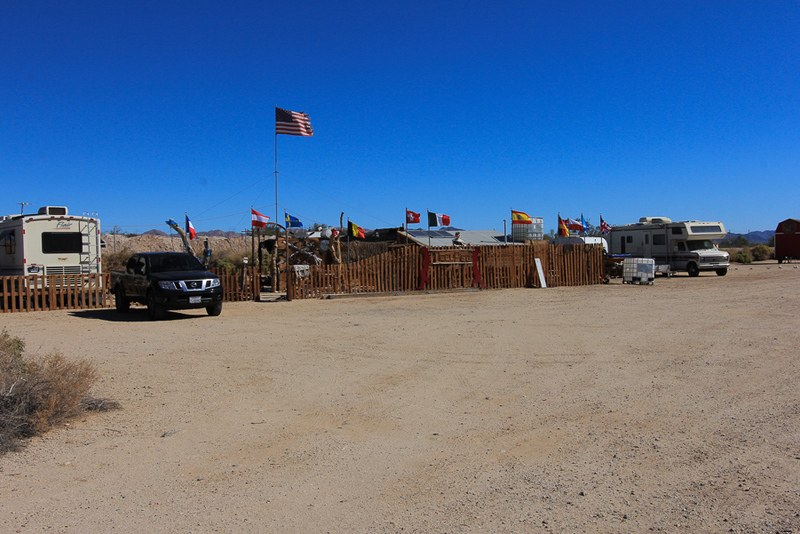 After Bombay Beach we headed further south to see some of the sites around the town of Niland. 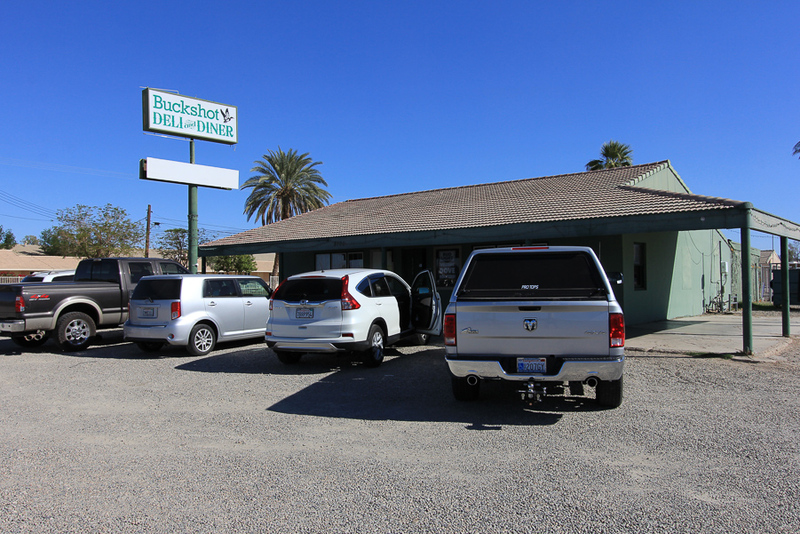 We stopped for breakfast at the Buckshot Deli and Diner and Judy had their huevos rancheros and I had a Spanish omelet. The portions were very big and everything was good. 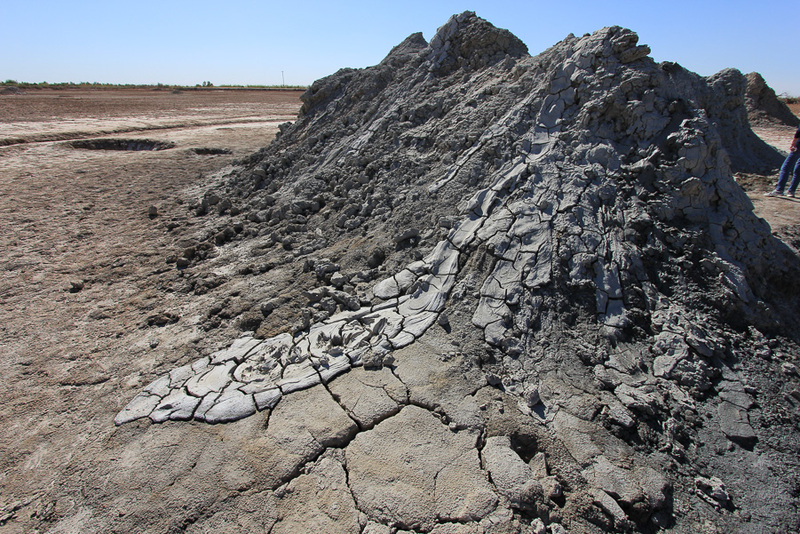 After breakfast our first stop was the at Davis-Schrimpf Seep Field, which is more commonly known as the mud pots of Salton Sea. 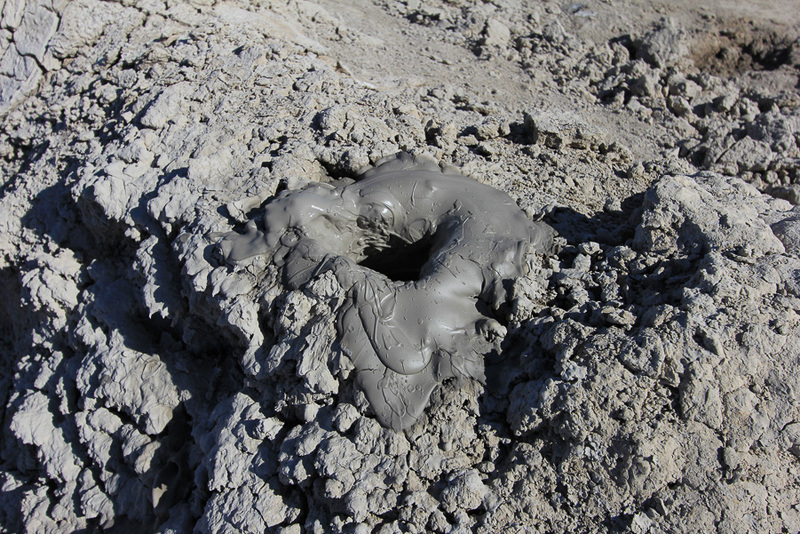 Mud pots, mud volcanoes or mud domes refer to formations created by geo-exuded mud or slurries, water and gases. 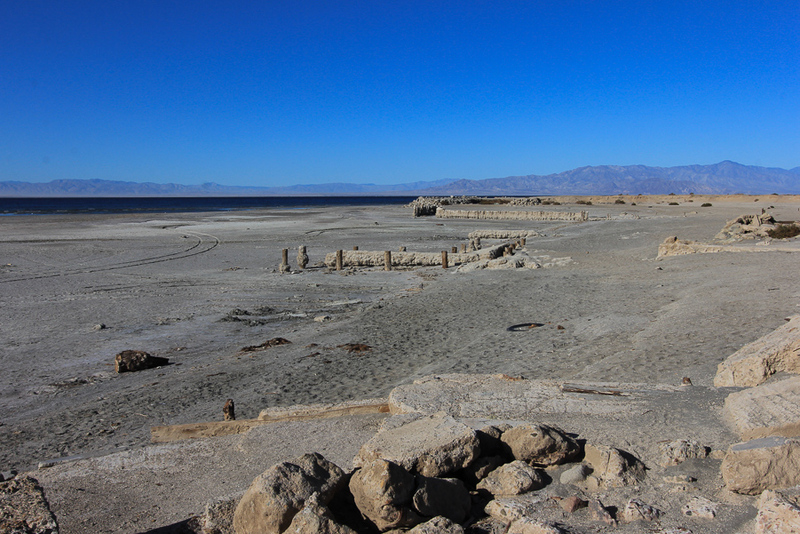 But seeing geothermal activities in a dry lake bed alongside a geothermal power plant in a desolate and sparse part of California certainly sets the scene for our Mad Max inspired post-apocalyptic road trip. 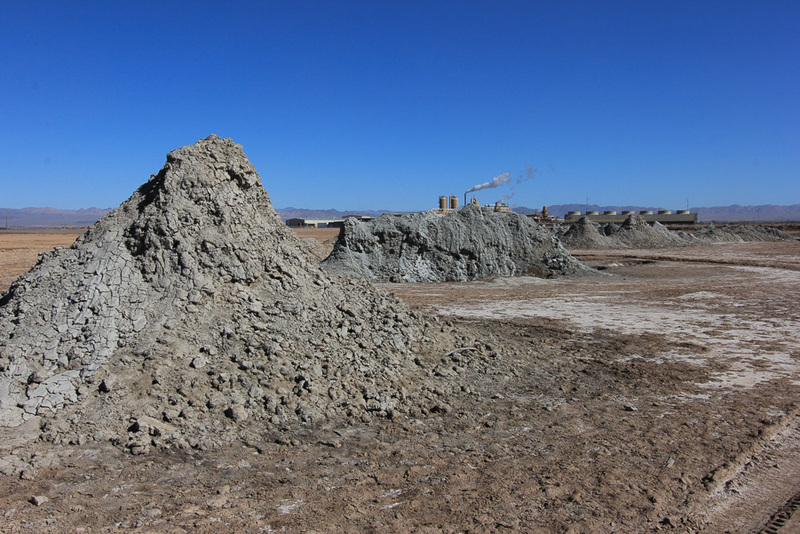 These mud domes are fairly loud making a "ba-loop" noise each time the mud and steam bubbles up. 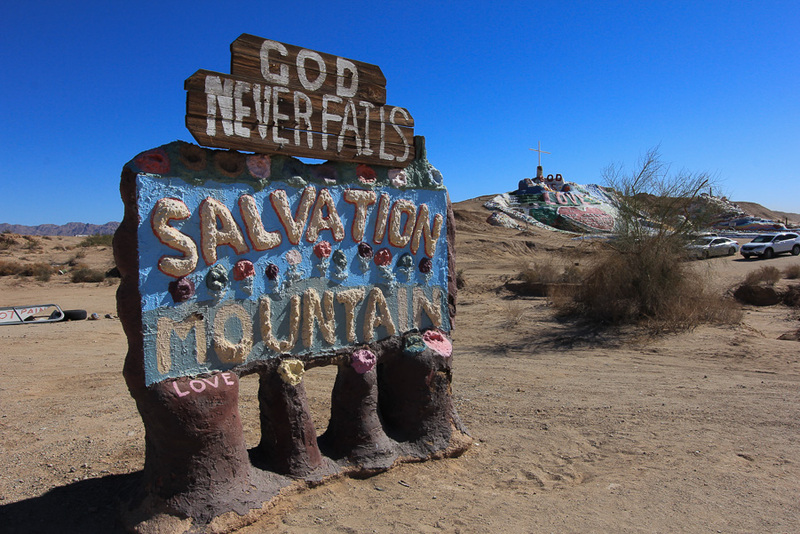 Next we headed to Salvation Mountain, which was created by local resident Leonard Knight (1931–2014). 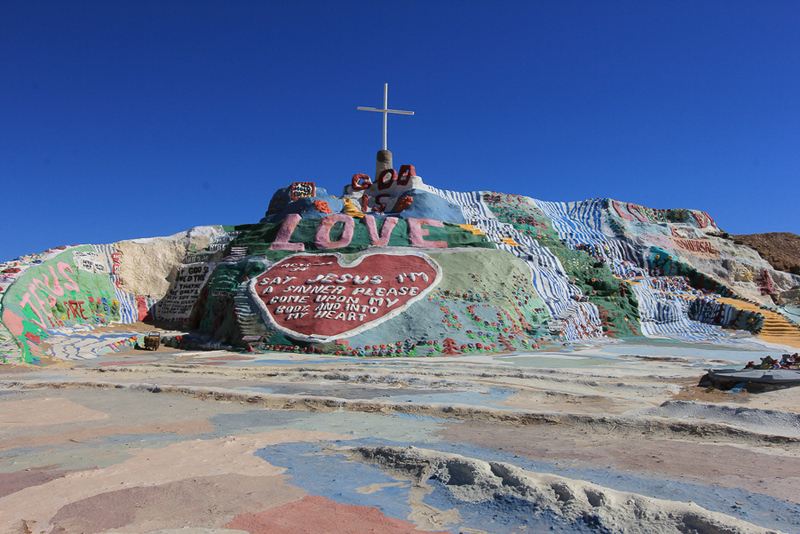 Salvation Mountain is both a visionary environment and a religious statement just northeast of Niland. 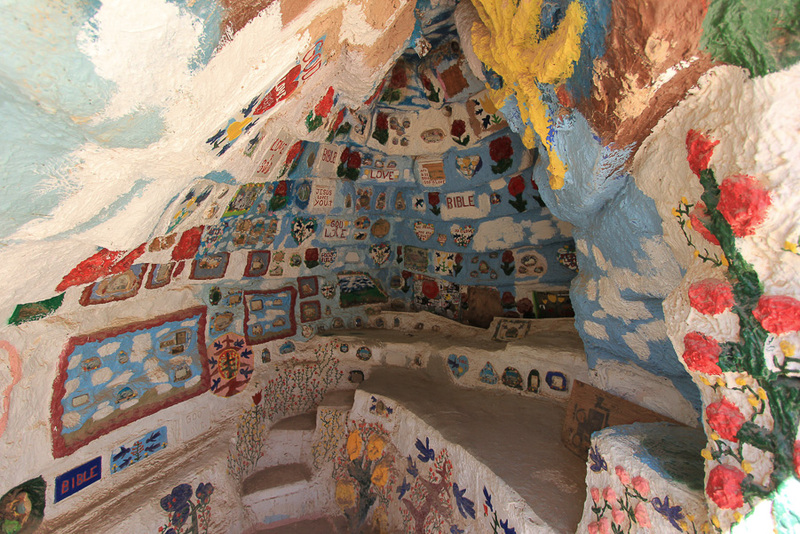 The artwork is made from adobe, straw, and thousands of gallons of lead-free paint. 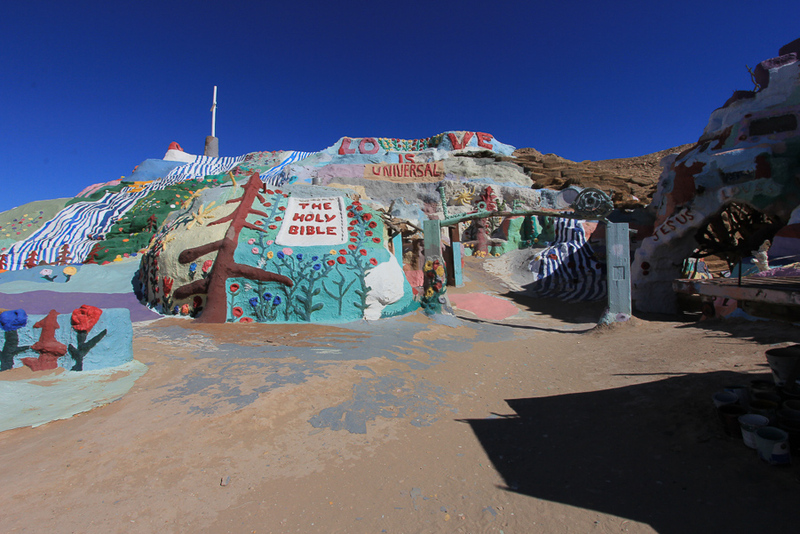 Our final stop of the day was at Slab City. 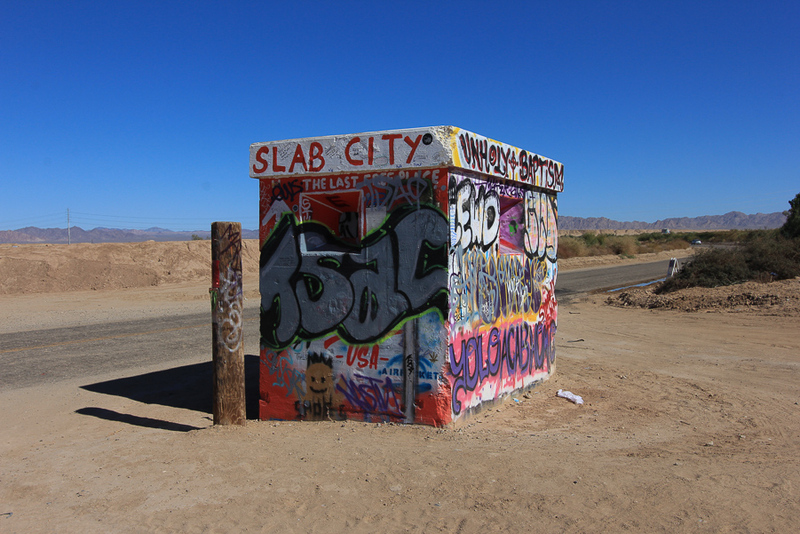 Slab City or "The Slabs" is largely a snowbird community in the California Badlands and is used by recreational vehicle owners and squatters from across North America. 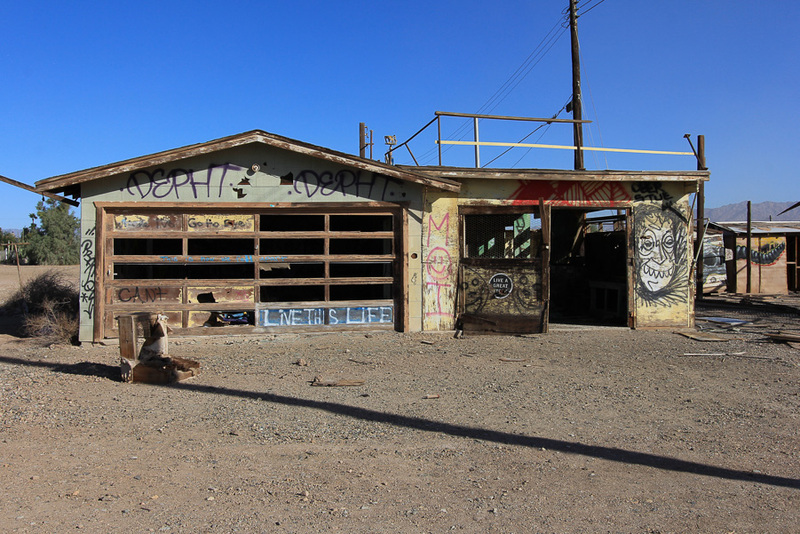 It takes its name from the concrete slabs that remain from the abandoned World War II Marine Corps Quonset huts. 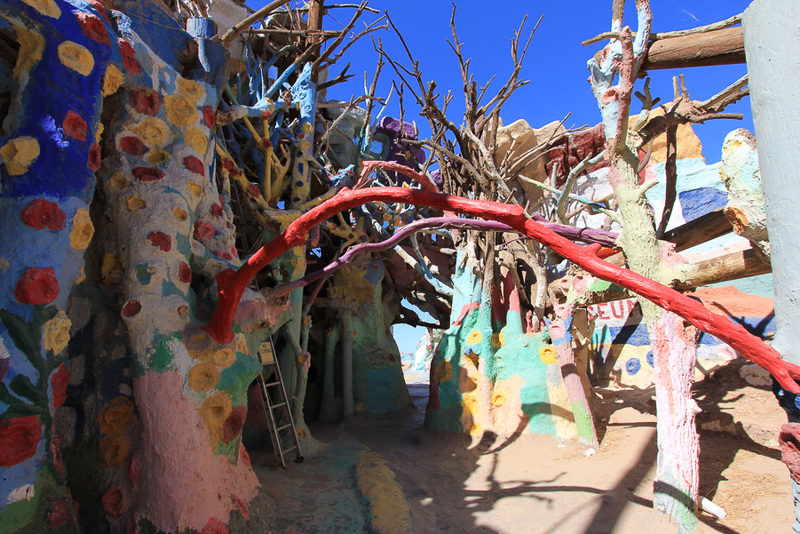 It looked like a great place to hide if you had some problems in the real world. 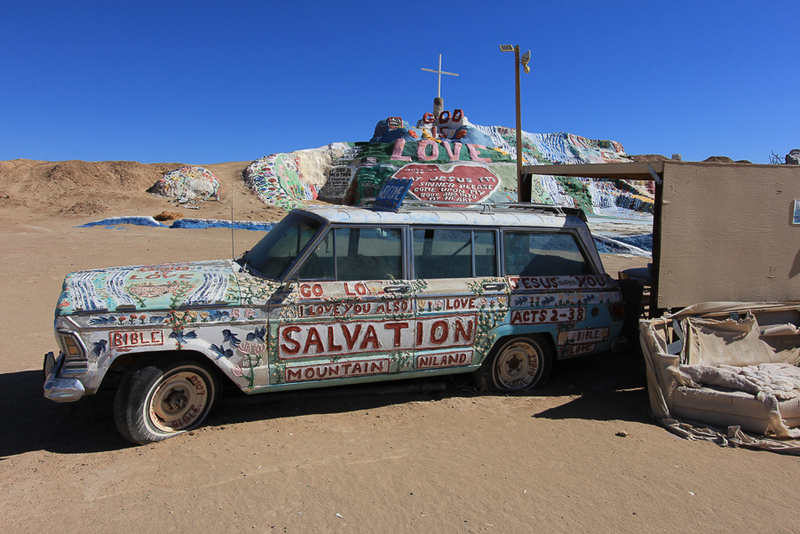 Well, we didn't see Tina Turner dressed up in her Mad Max chain mail outfit on this trip, but she provided us the mood music as she belted out We Don't Need Another Hero (Thunderdome) on our CD player. 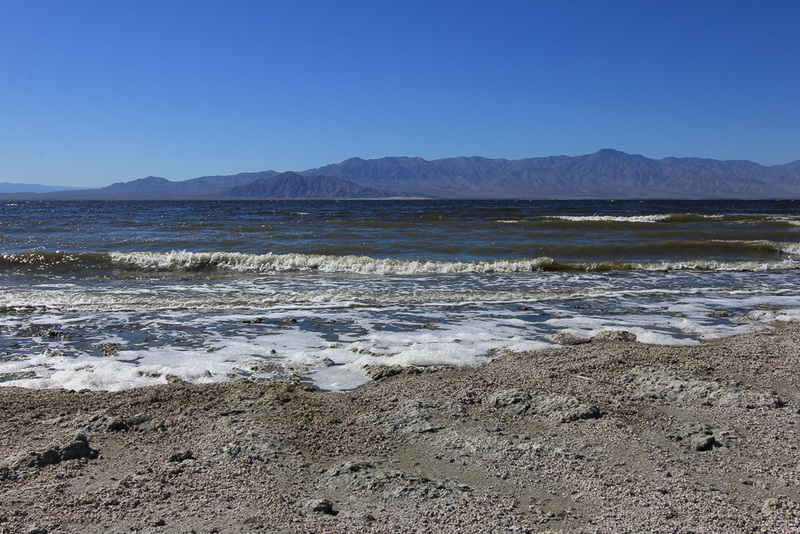 The Salton Sea is about 15 miles wide and 35 miles long and it is quite beautiful, as long as you're not too close to the shore. It was a very interesting adventure.